When applying for an L visa, you will have many questions that you may not be clear about initially. This can create a lot of problems for you later on, especially if you submit your visa application without overcoming any confusion you may have had about the process. That being said, here are a few frequently asked questions that will help you get through the whole ordeal without any hassles whatsoever. Is It Possible For You To Enter The U.S. on a Visitor Visa Even Though Your L-1 Visa Is In Process? Even though it is entirely possible, it would be wise not to do so. The reason why it is strongly discouraged is because you might run into something that you are not supposed to do in the first place while on a visitor visa. Not only will you get in trouble, but it can at the same time affect your L-1 visa, thus causing further delays or worse, denial. What happens if your Application is denied by the Consular? During a personal interview, the respective officer will ask you for additional information. An officer can at any time deny your application under INA Section 221(g). Your case will remain pending for administrative processing. However, you can always return to the U.S. Embassy or Consulate you were interviewed at and submit the required documentation to support your case. However, if the officer still finds the information to be insufficient as per the details outlined in the I-129 form, a letter will be sent to the DHS to have your application revoked. All related documents are sent to the DHS Service who will primarily handle your case from there onwards. In this case you will need to direct all inquiries to the appropriate DHS Center. 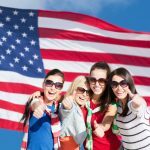 As an L-1 Visa Holder can you Study in the U.S.? Studying in the U.S. is possible as long as your enrollment is incidental to the requirements of the employment and limited in nature. But then again, it is important for you to keep in mind that USCIS approval is a must. Can L-1 Employees Move Around the U.S.? As long as the respective employee is under the Parent company’s management and control, the employer is free to move employees to work at different sites in the U.S.
What If an Individual is laid off while on an L-1 Visa? There is no grace period as the individual will lose his/her status immediately. This makes it important for such an individual to find another employer willing enough to sponsor his/her H-1B visa. But transferring from L-1 to H-1B visa is not essentially an easy task as it is subject to an annual cap. The chances of your returning to your home country are greater, which is why it would be a better idea to change to a non-immigrant status like the B-1/2. Now that you know what you can and cannot do, it is highly unlikely you will have any problems while filing an L-1 visa application. Since there is no harm in asking for help, it would also be wise to speak to a professional to make sure you are on the right track.